This drawing records a court case involving two merchants at the public market. 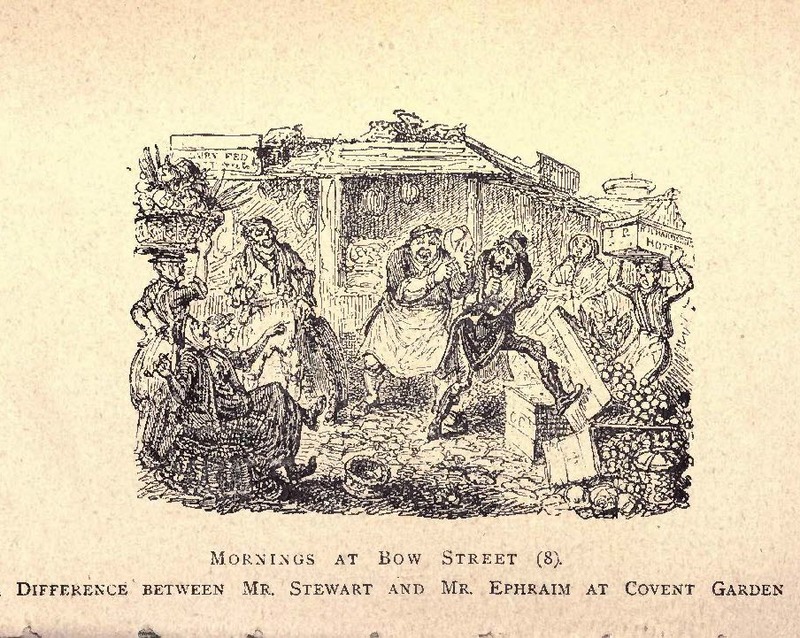 Mr. Ephraim, who was Jewish, complained that Mr. Stewart had assaulted him by hitting him with a pig's head. This not only injured Ephraim, but also offended his religious feelings because as an observant jew, he considered the pig to be an unclean animal. Mr. Stewart was brought before amagistrate, who felt that this was too petty a dispute to be the subject of a criminal complaint, and so he let Mr. Stewart off with being forced to apologize to his victim.